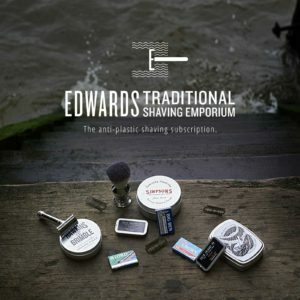 Edward’s has developed the Anti plastic shaving subscription, to aid the fight against plastic pollution in our sea’s. By subscribing or buying our 2 month package. You will not only be shaving with style. You will also help save our planet. This is a hot global topic. So we are the first to create a nonplastic alternative to popular shaving subscriptions. Two billion disposable razors and cartridges are thrown away each year. Where as Edward’s shaving subscription will supply you with steel D’E blades. Also all packaging is non plastic and only glass,metal and card. This was not an easy task you can believe that. We had to take this project into many different accounts. Traditional shaving is the better way to shave. 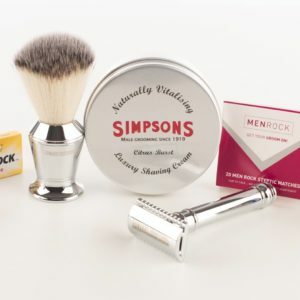 Make your morning or evening shave a time of pleasure with the Anti plastic shaving subscription. Kind regards the Edward’s team.